The roles that hydrocarbon resources, including oil products as energy carriers, play in the economy and in the life of people are undeniable. Thus, a demand arises for oil and oil products as energy carriers. Oil has been extracted for many years, and it is already produced in more than 100 countries that contribute to the supply of oil and oil products. 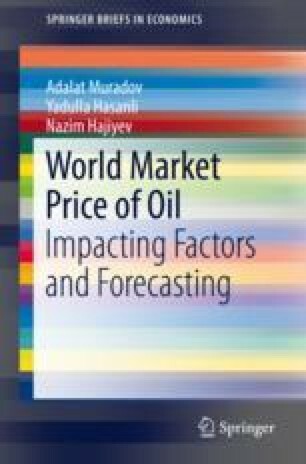 The changes in supply and demand for oil continuously maintain the volatility of the oil price, increasing the interest of producers and consumers in oil prices. Hasanli Y and Abasov C (2014) Assessment of mutual economic relations of the countries of the world on the basis of input-output table. Journal, Economics World (ISSN 2328-7144) Vol.2, No.4, 2014, David Publishing, USA, pp.215-222.